The 9800 Series is both a programmable AC source and measurement tool. These fully programmable linear AC sources deliver a maximum of 1500 VA through the universal line output terminals on the front and the output connector on the rear. 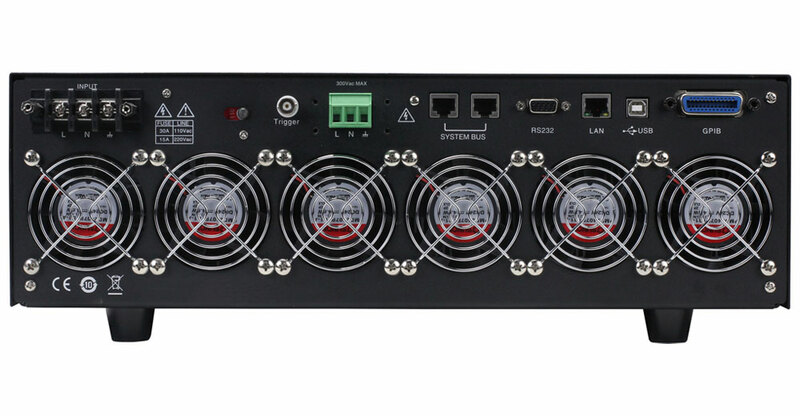 The output can be varied from 0 to 300 V with 0.1 V programming resolution. The output frequency can also be adjusted from 45 Hz to 500 Hz with start and stop phase angle from 0 to 360 degrees. 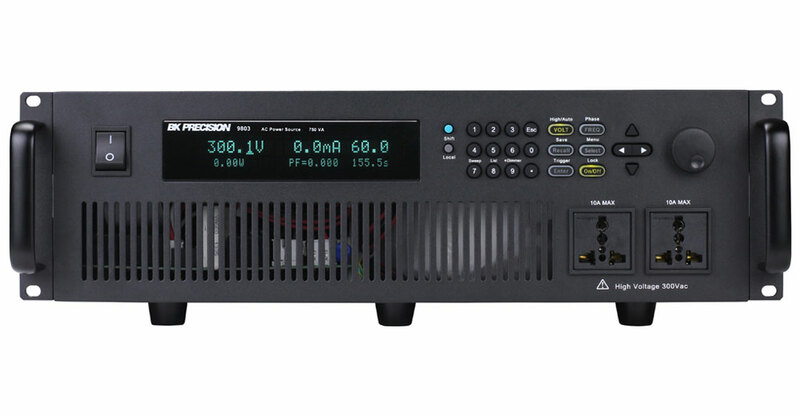 The bright VFD display shows Vrms, Irms, Ipeak,frequency, power factor (PF), apparent power, true power, and elapsed output time. 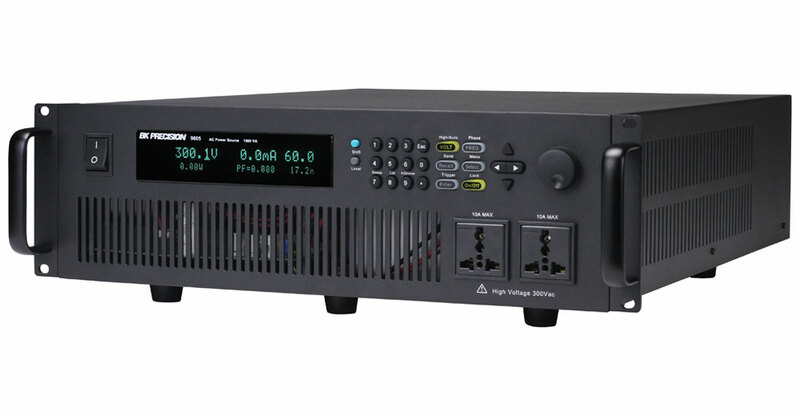 The AC source provides a power line disturbance (PLD) simulator, list mode, and sweep mode for simulation of common power grid faults and disturbances. A built-in dimmer function is also available for testing motors and LEDs. 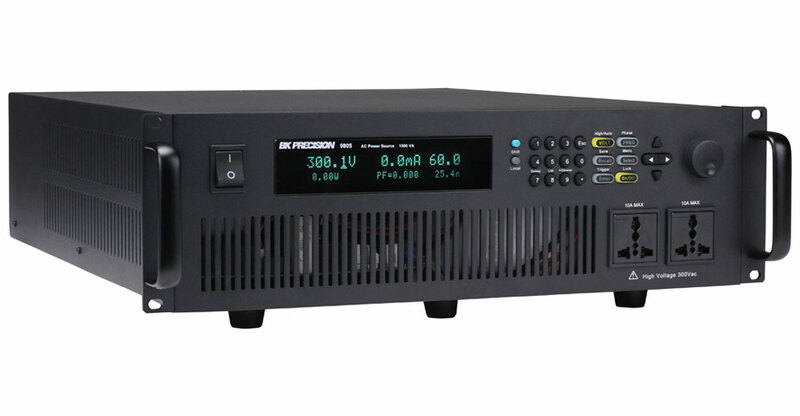 The 9800 series of AC power source is suitable for evaluating transformers, TRIACs, SCRs, and passive components as well as production, R&D, service, and pre-compliance testing. Helpful tool for dealing with electrical power.